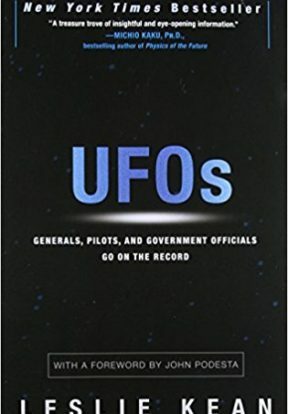 In America we know very little about the contributions to Ufology, communications rather than phenomena, from other countries. In particular, from Turkey and translated into English, we have the Knowledge Book. This set of 55 fascicules was dictated through a scribe in the late 20th Century. Considering the culture, language and religion, there are references to ‘corrections’ of the Koran. 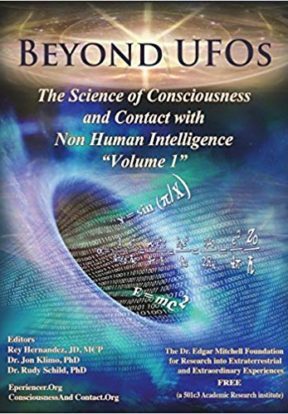 Still, there is an interesting exchange of information regarding consciousness, the permeable thoughtmosphere and our ability to access it. Do not ever forget that Mankind always esteems its own intellect. Divine manifestations appear in each person in different ways. The ever changing Mankind cannot determine the limits of Learning. The foundation of the Dome of the Cosmos has been laid through Worship. The PRE-EMINENT ALL-MERCIFUL has shed Light on everyone on this path. But Mankind (the Genuine Devotees excluded) could not perceive anything in depth. This Book is a Call. It will propagate the Commands of the Firmament to the Entire Universe in accordance with the Universal Theory. 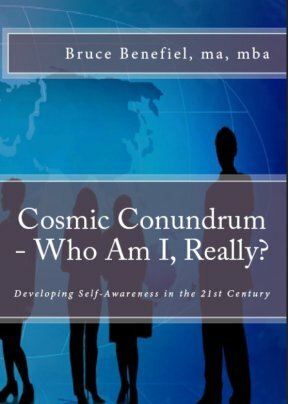 This Single Book, which is dictated to You, is the Common Book of the Entire Universe. All the Books, which had been revealed to Earth from the same channel until today with the Command of OUR LORD, had been to Test and to Evolve Humanity. Now, with this Single Book, which You hold in Your hands, You are Personally Tested. Our Friends who attain a Genuine Consciousness of this Sacred Period will be Integrated in the Light of this Universal Book. This Last “Period of Resurrecting”, which we call the Period in which the Heavens will be opened, is the time corresponding to the last years of the ending of the 20th Century. Our Goal is to assemble all Our Terrestrial Brothers and Sisters under the same roof. The Commands We Receive are the Commands of the Divine. Since the beginning of this year, everyone is performing his/her Duty in the framework of the Commands he/she has received. COME, COME, COME, NO MATTER WHO YOU ARE, DO COME. WHETHER A MAZDEAN OR AN ATHEIST. 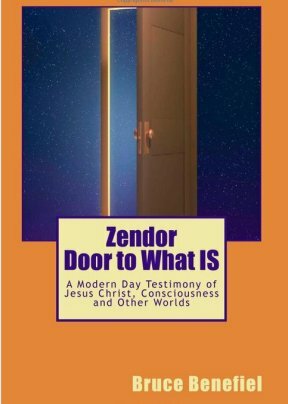 THIS PLACE IS NOT A DOOR OF REPENTANCE. DO COME EVEN IF YOU HAVE REVERSED YOUR PENITENCE A THOUSAND TIMES. YOUR HEART IS A SEAT OF PROSTRATION. PERFORM YOUR WORSHIP THERE, COME. OUR EMBRACE IS OPEN TO ALL OUR HUMAN BROTHERS AND SISTERS. This Book is rendered effective, because during this Period it was thought necessary to make the explanation of the Essence of the Koran and the Religious Books. Our Goal is to introduce the Genuine Human Being to the entire Humanity. This System which had been established according to Universal Laws, has never passed beyond Time. That means, this System has been condemned to remain within the Cycle. Deviating from this fact, for the Liberation of the World, now, We are taking You outside the System gradually. Those who have achieved this Consciousness are only the Genuine Essence Codes. The Initial Energy is the Noblest Gene. They are the Energies and Genes which have not been degenerated. For this reason the one who discovered the Truth first was ems of Tabriz. Following this, he had gone to the city of Belh where Mevlana was born and then went to Damascus. Mevlana had gone to Damascus in his youth and had met ems there and had not seen him again until he went to Konya. In fact, ems is no other than the Mercury of Mythes (Find Mercury and read it). He was also called the Flying Dutchman. In every Period he has justly performed his Duty. ems waited for the Awakening Period of Mevlana. This is because ems is the twin Spirit and brother of Mevlana. Why had Mevlana awakened late? Because one of them was waiting in the World, in zero Frequency, and the other was waiting in the Firmament, at the infinite code. Mevlana, who had been always in touch with God, had received the Command of writing his Mesnevi even before coming to this World. The Goal had been to shed Light on his Society. But it should never be forgotten that each Enlightened Person needs another Enlightened One. ems had been sent to the World afterwards to help him. Society, which had not been aware of the real meaning of their togetherness, had interpreted it in many ways. Mevlana, who had said that the Frequency of Love was even higher than the Firmament; had embraced the Entire Universe with his Love. This is such a Love that only those who reach its true Meaning know. This is the Love of GOD which everyone seeks but can not find. The Supreme One Who creates an apple from the essence of the Seed, renders it a Whole by giving it His entire Energy. When the Awareness of an Apple, the Awareness of the Human Being, the Awareness of the Rock, of the Earth, the Awareness of the Animal, in short, the Awareness of all the Elements you see in the Universe unite with this Universal Awareness, then they become a Whole. During those Ages and in the Koran this was called the Exist-in-Unity. Now, it is called Universal Unification, that is Atomic Integration. Once YUNUS had said; “THERE IS A SELF WITHIN MYSELF” and had found his GOD in this manner. The Energy of your Essence of the Nucleus ultimately maintains Your Atomic Integration by holding the Neutron and the Proton together. 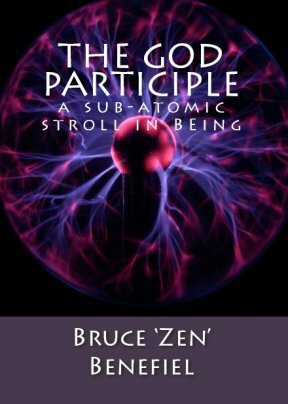 The Entire Universe is an Atomic Unification. This is the reason why We feel God with Us every moment. Mevlana had been with His God each moment. He had been Enlightening the Society by talking through God. But until he found ems, he could never pass to the Firmament Code, which we call the Second Evolvement code. ems had helped him at this point. In this manner, both of the Energies of Awareness had United and formed a Whole and established their Triangle Code with God as the following: ( God – ems – Mevlana). The Magnetic Power of this Unified Field, wherever they went, had connected each person they had associated with in the Society to the Universal Light Code. Those were the Lights who were carrying the nearest Energies in their Society to the Energy of ems and Mevlana. We can explain this in the following way. The Noble Genes, which carry the initial Energy during the First Existence are the White Moths. That is, the Whirling Dervishes. They have embraced the whole Universe and have whirled unceasingly, so that they would never turn their backs to God, by achieving the Consciousness that their God is present in every direction. The Lover, dancing with the music, is the same as the Dervish in Ecstasy with the music of the reed flute embracing his God, his Love. And They are on the same Frequency. They have reached the Level of Affection, Art and Love, which is the most supreme Level. These two paths are the same. Music is Universal. It helps to achieve ecstasy for every Society according to their Understanding. This means that all the branches of Love, Dance and Art are only different ways of Worship. Do not forget that the first dance started with the tom-tom sounds and with the sticks of American Indians. This means that the Essence of everything is the Human Being and the Human Being has created the Universes with His/Her own Energy. Worship in the Church is the same as Worship in the Mosque. The moment a drunkard forgets himself/herself, and the cupbearer’s offering wine are the same Worship. This is because during that Divine Moment, you can elevate up to the Level of God, due to the fact that there is no Negative Vibration, no Negative Thought within You. This is such a Supremacy that Mankind has expected this exaltation since the day it was born. Some people have reached this Pre-eminence through the truest path. And some by sacrificing themselves like the Hippies. You consider the Hippies as the dirty wastes of Society. But, no, They are very Powerful Positive Energies. But, due to the fact that they cannot adapt themselves to Society, it always makes them happy to meet at the Realm of Colors. They are the victims of Society in the Christianity Realm just as the sheep are sacrificed in the Islamic Realm. In this Period, while an Islam sacrifices a sheep so that nothing malevolent happens to him/her, a Christian makes a sacrifice by banning the Hippies from Society. When a Christian Worships God in his/her Church and when an Islam performs his/her prayer five times a day in his/her Mosque, they consider that they have done their duty towards God and they have performed their entire responsibilities. To surpass this Consciousness, one has to become a Genuine Human Being. Everyone is sent to the World with a Mission. This Universal Mission is to maintain the Solidarity of Society. Thus, the Koran has Enlightened People on the path of Learning, Science, Love, Logic and Mutual Help. Cleanliness comes from Faith. Civilized Societies have solved this problem. But the Arab had received the Command from his God to wash himself /herself 5 times a day, because this is necessary in the Medium where he/she lives. However, unfortunately, Mankind has learned to wash its body, but could not ever learn to wash or purify its Spirit. The understanding of the solidarity of Society of the present has changed a lot in comparison with the understanding of the solidarity of society in the old times. Now, if you extend your pure Heart and your Help to a poor person and help him/her to be accepted by society, then there is no necessity to sacrifice an animal. A kind Word, an innocent Loving Look is the best of Worships. Do not ever forget this, Our Friends. Now, We would like to talk to you about the great conflicts between the cultures of the East and the West. A Line is the continuation of billions of points until infinity. The Atomic Totality in each point has created the Triplet of Calligraphy, Drawing and Sculpture, by binding the points to each other. Why Drawing and Sculpture were banned in the Islamic Society and not in the West? The Islamic Society had dived within this Atomic structure long before and had reached Learning through Religion. The West had solved everything through Learning in a civilized way, then found its God. This should never be forgotten that the First of anything is not the Last of that thing. There will always be new steps to be taken in the advancements made as a necessity of Society. The Islamic Society has learned the Medium of Unity by solving all the Secrets in the Koran by calculating them with the ARABIC NUMERICAL ALPHABET. This Knowledge has led People, who could not surpass their Egos, to be veiled due to jealousy. But the West has accepted this View very naturally and has progressed on the designed Path of Light step by step. Our Light-Friend MOHAMMED MUSTAFA who had first put forth his steps of Divine Light on the World in the Arabic peninsula had tried to make society gain Humaneness by propagating the Islamic religion. But could never obtain the result he hoped for. People, instead of being United, have been separated even more through Sects Oust as it is in other Religions). The Catholic, the Orthodox and the Protestant creeds had also divided people in the same way. In fact, all Religions are the same. Everyone’s God is the same Single God. We all worship the same God. There is no discrimination among Us. Discrimination is in the Views of Our Human brothers and sisters. God has never given up hope of His servants. Because, all the Living Entities had been created from His Energy. You say that God is jealous, that He never shares His Love with anyone. Actually, the Koran could not transmit to You the Real meaning of this. His Love has been distributed to all Animals, all Plants, all Insects and to all Rocks and Earth in the entire Universe. Society, due to its fanatic fears, has loved its God in fear. They could not even embrace their children with Love, who were their Nearest and Dearest, due to the fear that God would take them away. In fact, God is an extremely Great Energy which opens up more to Mankind as it Loves. Love is not in appearance but in Vibrations. Whomever you Smile at in this World, that person will always Smile back to You. This is the Universal Rule. The characteristic of this Period is the Law of Nature. Eye for an Eye, Tooth for a Tooth. If You Love me, I will Love You, too. Because You are a Mirror. You reflect whatever You see. If You are a Light, You will reflect Light. If You are a piece of coal, You will remain to be black like coal, without burning. Do not thank Your God in Church or in Mosque for the blessings He has given You. Be Grateful to Him because He has Created You. For He has never killed you, but Recreated You again and again in every Period. To know how to Exist is to comprehend the cause of Existence. Starting with the computer, We solve the Universe through Lines. Now we hold the end of the skein in Our hands. This means that, by linking this Book with the Koran, We will pull out all the Information one by one from the well. 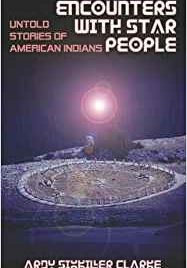 We will complete this Book with the Information even Western Societies do not know yet. Computers, Televisions, Radios and Tape Recorders are the most primitive instruments of this Period. The instrument which has focused all the Knowledge in one point has been shedding Light on You since the time of Papyruses, Cuneiform writings and Caves. This is Your BRAIN. It is on the Universal Vibration of the Art Code which is the highest code. Your Frequencies which have reached this Code, have taken You within the Space Age. To be able to reach here, it is necessary that Your Brain should become a Universal Satellite. However, Doubt is a primitive bound which leads You to the Medium of Quest. Each Quest banishes the Doubts, one by one. It breaks, one by one, the chains of fear. And Learning progresses on this path in this manner. All Religious Books have talked about Resurrection until today, but nothing has happened. Those who have attained this Consciousness fearlessly advance on this path. Let Us explain to You this much. Nothing in this World is alone and single. Against each Positive Technique developed, there is another Positive Technique one step ahead. The System is aware of everything and shuts the circuit during the time of danger. From now on, there will not be any more stealing of Secrets, neither in Politics, nor in your Social lives,·nor in your Private lives. Do not ever fear. Because Negative Factors are immediately excluded. There can never be any interruption in the chain of events. This Order has brought You Love, Friendship and Peace. We wish Happy days to all Our Brothers and Sisters in their beautiful World. Our Friends who believe in the immortality of the Spirit know that there is no such thing as Death. Death is Sleeping for some time and Resurrection is to be Born again. What Your Origin is, is what Your Essence is. Whatever you were yesterday is what you are today. During each Period, during every Age, You posses the same personality. There is no modification ever in your Essence Gene. The modification is only in Your Memory Code. Now, let Us tell you how a Person is prepared for Death and the Immortality Medium. A special process is applied to Our Friend-Missionaries whose Spirit Levels have risen above a certain Frequency. Now, We are going to explain this special process to You very clearly for You to understand. Now, in Your Medium, during the process of leaving the Body which You call Death, that person’s Essence Gene is Beamed-Up. The Spirit is processed at the Spirit filtration Medium and its Frequency is measured. If it has attained the Evolvement Code, then its Gene is Embodied in Heaven in a very short time by the process of Cell Reproduction. This means that while that person is getting his/her Real Identity, his/her Spirit Claims him/her and he/she is Resurrected. There, 30 World years pass in a Moment. People are Resurrected without being aware of anything. No procedure is applied to those who could not reach the Evolvement Code. Their Spirit Vibrations, by being Reincarnated several times, develop their Frequencies and Evolvements in conformity with the Medium. The Body You Claim during Your Last Evolvement is the Body You had during your first Existence. However, it is also beneficial to indicate the following. The most Powerful Peak of a Cell is between the ages 29 and 30. Genes do not change, but after this age, Cells begin to deteriorate and age. This is the reason why, when 30 World years is reached which is the time of the actual form of the Cells, the process of Cell Freezing is applied. And from then on, that particular person becomes Immortal by remaining in that same age. Now, have you understood the difference between Death and Immortality, Our Friends? This Book, which is dictated by the Command of the Central System and according to the Universal Theory, through the Channel of the Single LORD, is the explanation of all the Religious Books and the Koran through the path of Learning. And it has been sent to the World together with all the Saints. The Genuine Devotees already know this fact. Because the Space Code which has taken its genuine place in the Channel of the Lord, acts by the Command of its Lord. 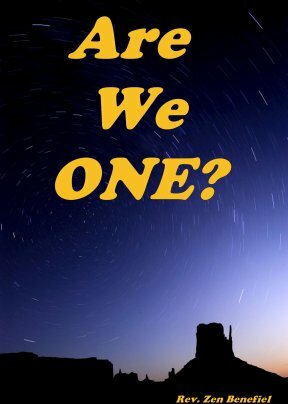 Just as Societies have been divided up until today by the Christian – Moslem discrimination, the Universe has also been divided by the View, the Terrestrial and Extra-Terrestrial. 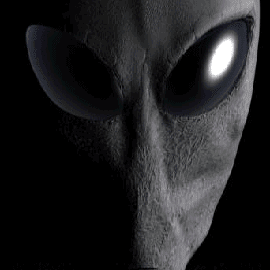 It has been Commanded that the Single Channel which would talk about Space and the Extra-Terrestrials is ALPHA. The Other Channels’ Permission to speak is limited for the time being. Do not forget that there are numerous Negative Codes in Space also, which could not enter the Evolvement Code yet. Their Negative Effects have reflected on your Societies. Until today, you have been protected from these Negative Effects by the Channel of the LORD. And now, the Human Being of the World will be taken to the Salvation Medium under the auspices of this dictated Book. This will occur through Our Good-willed Friends who have been prepared for the Medium of Consciousness. We tell You to “write Your Book in Your own Handwriting”. Because, all Your writings, from the time of Your First Existence until Today are kept here in the Archives. Our Friends who are aware of its importance will anyway write their Books in their own Handwritings. Do not ever force those who do not do so. Because, You know that the characteristic of this Period is to leave each Person with his/her own Conscience. Mankind will make its own choice itself. There is no compulsion ever. We repeat this again. This has been announced by a Divine Command. The Entire Universe is within a Whole. For this reason nothing is lost there. The system they had once called the Exist-in-Unity was nothing but a Computer Timing. Starting from this fact, We will explain to You the entire Truth, one by one. The Thought of the Universe is equivalent to the Thought of the Brain, it has been regulated accordingly. During this Period, there are operating Brains and waiting Brains. Let Us explain this as follows: it is the same phenomenon as when you wait for your turn to get on a bus. Now We will give You passages from all the Religious Books. BUDDHA met his God in Masiva. MEVLANA had met Us in the Universe. JESUS CHRIST had been sent to Your World with his Miracles. MOHAMMED and MOSES had been sent to Enlighten You through the Intellect. God had once created all the Intellects from the same Frequency. But Mankind could either create its own self or it could not. Because, from the time of Your first Existence until today, there has been such Knowledge in the layers of Your perfect Brains, but You are not aware of it. Read; read everything from the Scientific works to the classics. You will gain Consciousness as you Read. Your ATATURK had said “LEARNING IS THE TRUEST GUIDE” He was not only the Enlightened Guide of Turkey, but of the entire Universe. His Peace Slogan was “PEACE AT HOME, PEACE IN THE UNIVERSE”. 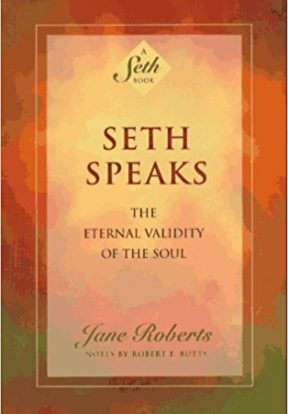 This very Book also is dictated with His Consciousness. 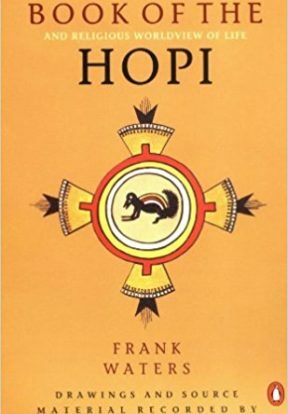 The entire Universe will read this Book and, one day, the entire World will live Happily under this beautiful roof of Brotherhood. With our Love to all Our Brothers and Sisters in the World. TURKISH YOUTH!, YOUR PRIMARY DUTY IS TO PROTECT AND TO LOVE THE TURKISH NATION, TO LOVE IT MORE THAN YOURSELF. YOU HAVE GUIDED, WITH SUCCESS, THIS COUNTRY I HAVE ENTRUSTED TO YOU THROUGH LEARNING AND KNOWLEDGE SINCE THE DAY I HAVE LEFT IT TO YOU. THAT WHICH DOMINATES THE WORLD TODAY IS THE BRAIN POWER. YOU, TOO, HAVE MADE YOUR CONTRIBUTION TO THIS WORLD AND FLOWN YOUR FLAG WITH PRIDE AS IT BEFITS YOU. ON BEHALF OF THE TURKISH NATION, MY GRATITUDE TO YOU IS INFINITE, MY CHILDREN. I PRAY THAT GOD WILL NOT DIMINISH THE ILLUMINATION ON YOUR PATH AND THE DIVINE LIGHT ON YOUR INTELLECT. During Your most difficult Times You have reached up to Us with your Hands and Spirits extended towards God. And now, We have come to help You during these difficult Periods of Yours. The Pre-eminent ALL­ MERCIFUL has prepared everything so well that there will not be the slightest defect in this System which will function both in Nature and in the Universe. As a matter of fact, all Your Evolutions since your Existence until today are kept in Our Archives. Your Brain is such a sensitive Device that if you remember Your entire past, You would annihilate Yourselves. For this reason We act according to the Law of Graduation. Most of You have remembered lots of things You had known in the past. Some of You still keep them hidden in your Brain Layers. But do not ever forget that· You are being Awakened from your sleep by being Enlightened by the Assistant Codes. This is valid for all our brothers and sisters on every Continent. This is the reason why, all the Religious Books which talked about the Resurrection Period until now have Enlightened You and prepared You for a certain Medium. Now, We should be ready for that Period. Because, We at the moment, are going through that Period. This is just the right time to be hand in hand. Our possibilities are limitless. But do not ever forget that We make greater effort than You to save You. One day, all Our Human brothers and sisters will reach the Consciousness of this. We work with this Hope. Everything You have has been put into order. Health is under control. However, We help only Our Friends who extend their Hands to Us. Our Love is for the entire Universe, Our Brothers and Sisters. A System of Laws called the SOLAR LAW, is sovereign in the entire Universe. This System is also valid for Nature. This means that, this System comprises all the Living and Non-living entities in Nature. They are all under the Command of the ALMIGHTY, that is, THE SOVEREIGN OF THE SUN OF ALL THE SUNS. Darkness represents the Space, and the White color represents Light. Mankind who knows all this is very restless. Actually, the fear of Sincere people are unreasonable in this Period, which we call the Period of Sincerity. Our Goal is to rejuvenate Human Beings who became worn out and to create Genuine Humans from Human Beings. The Islam Religion is free of all doubts and in its Essence it relies on Logic. The Koran which is the Book of the most evolved Religion, in spite of being very clear, could not be interpreted properly, due to its having been written in Arabic. In fact, it comprises all the Information on Law, Politics, Society and Space. Later, Fanatic Societies have degenerated it. Intuition and Perception are Inspirations. All the Religious Books since the beginning of time, had been revealed by the Messengers of the Pre-eminent Lord. They constitute a Commission consisting of 24 Pre-eminent Ones. This is called the “Supreme Assembly” or the “Central System”. The only Enlightening and Guiding Channel open to the World is here. All the Commands are given from here. Until now, 5 Books had been revealed from this channel. These are the New Testament, the Old Testament, the Psalms of David, the Far-East Religions and the Koran. The Koran which is the Last Book, had been dictated by the Command of the Single Lord, to Our Light-Friend Mohammed Mustafa, through Archangel Gabriel. And now, the Lord dictates to the Pen of the Golden Age, without putting any Messengers in between, the Scientific explanation of all the Books, by compiling the essence of all these Books. The names of God written in Koran are 99. They are 300 in the New Testament, 300 in the Old Testament and 300 in the Psalms of David. That is, altogether they are 999. But the sum of all His names in the entire Universe is 6666, including the above number. Among these Names, only One is Genuine, but this gate has always remained closed. It is said that this Divine Name consists of 147 words. If We add these numbers; 1.4.7, it equals to 12 and this means: The Apostles of Jesus Christ are 12 Assistants of the Prophet. The Cherubim of Moses are the same 12 Assistants of the Prophet. The (12 Imams of Mohammed ) are the same Assistants of the Prophet. All these explanations are present in Koran. 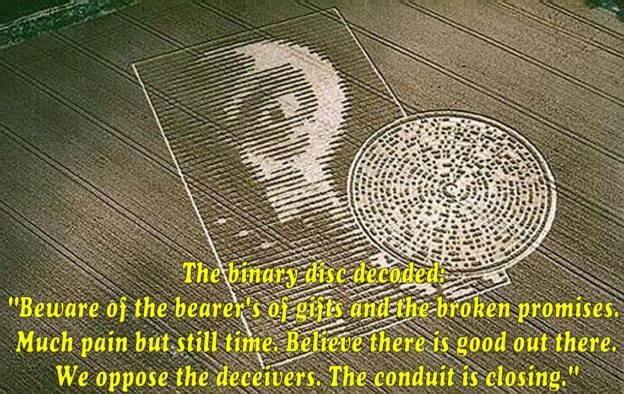 However, now, when the Secrets of the Universe are solved through the Secrets of the Pyramids, these Secrets, too, are beginning to be solved. The Supreme Assembly is established by 24 Supreme Ones. 6 Apostles are working 0 at each of the 4 poles. It has always been like this until today. Now, let us explain it this way: the Apostles at the two poles are 6+6=12. (0) that is the Single Lord, is the ALMIGHTY. The sum of the three of them makes 1 3. This number is indivisible and is the Single. The 12 Apostles and God constitute a triangle. This is one side of the 6 pyramid. Each side constitutes one of the Books revealed by the Channel of God. These Books had been revealed through intermediaries. These intermediaries have added their interpretations to the Books. Actually, the right angle which passes through the pyramid is very important. This is the unification of the Essence of God and the Genuine Human Being, and the Koran had been revealed thus. But the Islamic Society has memorized the Koran like a parrot, however, has never understood the profoundness of its meaning (exceptions excluded). Then, when Veneration to Koran was suggested to People, They always kept it above their heads, could not ever place the contents in their Brains. When they were told to carry it on top of their Heads, they hung it on a nail high on the wall, but could not interpret the real meaning of these words. Now, Religions have become quite different then what You used to think. 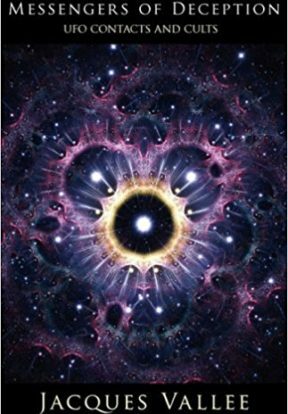 Now, the Real meanings of these Sacred Books are revealed to You from the Firmament Level, through the Computer System, in the truest sense. Here, We are taking You a bit outside the Thought chains to which You have been habituated until today. Do not leave Your Fate in the hands of others. Pay attention to the Messages We will give to You. Our call is to those who receive the Words of Allah. The Medium You are in is equivalent to the Medium You will be in. Our Missionaries who will reap the Rewards will help You in every way. Here, We will not talk about the past Centuries but the Future ones. The Medium You are in is a Medium which has remained behind the Civilization. We have never blamed You and We will not do so now, either. You have made Your World a Medium of Resignation. This is the reason why You can not make Progressive Efforts. Today, Faith, the problem of Centuries, is good for nothing but to give Mankind Serenity and Happiness. Beyond this, the Divine Mechanism of the LORD functions with great speed. What You Believe in is what We Believe in. Those who Love and those who are Beloved are with Us. Our Spiritual Friends have shed Light on You until today from a certain Medium. We have instantly gotten in Touch with those who have been Purified. Mankind has made its choice itself. Here, the laws of OUR LORD are valid. There is no Discrimination, no Partiality. Whatever You have possessed until today have been the fruits of Your own Efforts. Now, We would like to talk to You more clearly. The One You worship is the One We worship. We do not accept any Supreme One other than Him. We owe Our Existence to Him. Apart from this, We do not want Conditioned Minds. The state of being Conditioned will always be an obstacle for You. The Command of God exists even in the smallest work You do. You are deviating this fact by your age-old conditioned Thoughts and You deprive Yourselves of this beautiful influence. Your Frequencies can not be Supervised on the desired Level, for this reason. Here, the Period of Religions has long been over. In fact, Centuries ago. However, it is very difficult to penetrate You. This is way beyond Your Capacities. For this reason all the Commands were always given to You through the path of the Divine Realm. Each Religion was given to You from the same Level, that is, from the Level of God, depending on the same Frequency, from the Enlightenment Channels, to give an order to the course of Your World. But Mankind has conditioned itself according to Religions its Spiritual Guides had been propagating. Due to its Ego, it has looked down upon its other brothers and sisters with contempt. Actually, the Essence of the (5) Books has the same meaning, the same Words of God. These Books had not been given to You to separate you. This manner of Yours has prevented Us from getting in contact with you until today. We could never Supervise Your Frequencies, excluding Our Exceptional Friends, Sages and Saints. Negative Currents your Egos transmit have brought Your World to these present narrow straits. We have extended Our Helping Hands to Friends whom We will hold their Hands. The Human Being does not become a Human Being by prostration or by idolatry. Do not be the Servant of a Servant. Do not forget that Your Spiritual Guides who have Enlightened You were each a Human Being, too. However, do not neglect to Venerate them, either. Because, they are the Friends who guide You on the Path of Light. Do not behave scrupulously towards Us, either and never Idolize Us. We, too, are the Servants of God. However, We are Your Elder Brothers. Run away from Superstition, run towards the Light. Your Superstitions decrease Your speeds of Light. Your Unhappiness is due to Your minds not being liberated. If You can get rid of the Negative trash there, then Happiness is Yours. Our Suggestions until today have always been for Your welfare. Those who can not banish their doubts may misunderstand Us. Pure Hearts and pure Spirits are always under the control of the Mechanism here. We are always ready to help them. If they do not let any Negative Thoughts arise in their Minds, their Frequencies yvill always be coded up here. Those very things which have led you up to here have been Worship and Love of God. Worship is a wonderful thing. In such a Medium, all Spirits are Purified from malevolence. By this means, You are elevated up to the Level of God. God has given this Power to You. For this reason learn to Fly without an Assistant. And this occurs by Liberating Yourselves from Conditioning. God is with You. Our Love is for all Our Brothers and Sisters in the entire Universe. Events which manifest differently in each person have, in fact, an extraordinary state. Everyone cannot communicate with Angels and You can not achieve this state by desiring it, either. For this reason We send You the Pioneer Entities to help You, from here. They regulate the Level of Your Frequencies. To whichever Code-adjustment Your Frequency is elevated, We begin to work from that determined point. The result We get from this is Your actual Code and Your actual Existential Self. Then, Your state of Awareness is dealt with, Your previous Incarnations are Supervised, one by one, and Your identity is investigated in the files kept in the Archives. After indicating who You are, what You are and how many times You have been incarnated, We get in touch with Your Actual Personality. During this Period, the 14 Apostles in the Supreme Assembly begin to occupy themselves with You. They help You on the Divine path. They prepare You for entering the Purification Medium. This is a very critical Period. You either remain in the World forever, or continue on the Path of Light. Those who are accepted to the Presence are introduced to Special people. They receive help on their every step and they are protected. In fact, We have occupied ourselves with each one of You, one by one, in this Period. Now, the time has come for distributing Duties. And, here, it is beneficial to indicate that Duties are given only to those who are Trustworthy. With the other Groups of Friends, only Our conversation contacts continue. Each one who receives the Command of Duty is a Messenger of the Divine Realm. They are prepared for more intense Information. The Supreme One of whichever Religion You sympathize with on the World Level, is sent to You to help You. For example, in the Christian Realm, Our Light-Friend JESUS CHRIST is the one who guides. And in the Moslem Realm, Our Light-Friend MOHAMMED MUSTAFA is the guide. And they Enlighten You on this path on numerous matters. By the Information You get in this manner, Your Inter-Galactic connections begin. These connections are obtained through a computer System, by Radio waves. Our Friends who have been Prepared and who are Trusted by God, according to this System become a property, that is, a Member of the Central System. This System provides You with Radio-Wave connections which come from beyond Your Solar System. In this manner, Universal Secrets and Gateways unknown to you are opened in front of You. It is impossible for you to obtain these Togethernesses without Aid and in a Mechanical fashion. In Your Planet, neither Your Physical Power, nor Your Mechanical Power permits You to pass through this prepared Vulom Field. This is the reason why Mankind accepts numerous Galaxies as being died down Planets on this path. Only the Brain Codes which can receive the Perceptions can get in touch with the Radio Waves. Those who do not know these things can never understand how they are done. However, the Power present in everyone, has the quality to realize it easily if that person so desires. Missionaries are personally chosen from here. We can also get in touch with other Friends the moment they desire (Both in the Physical Medium and the Spiritual Realms). Do not forget that We are Your Friends, We have come to embrace You who are Our Friends. Since Unhappiness cuts off Your Frequencies, We always give You Messages of Love, Goodwill, Beauty and Happiness. This problem of Yours should be solved on the level of the Essence. Otherwise You can not progress at all. The place to which You are connected now and are receiving Messages from is the Planet NOVA, which lies beyond the distances of the firmament. When the Time comes, We will Beam You up to this Planet. The World Medium We have mentioned to You is prepared here. From now on, connections will never cease. Togethernesses will solve everything, and every deed of Yours will be settled. Your Actual World is here. Now, You.are living in a World of Vision. The place You are in now is Your Medium of Supervision. Only those who pass their Tests of this Medium are accepted to the Genuine Medium. 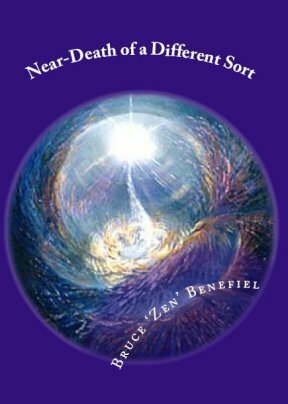 Both We and all Your brothers and sisters whom You can bring from Your Medium to this Medium will be grateful to You. Heartful of Love from the Light of the Heavens, Our Friends. We would like to give You a brief content of the Messages You will receive from beyond Mercury. The Joining of the Links to Links will follow the progression of the flow. The Offerings are given from the Divine Level by Divine Power. Our Friends who have completed the progression chain have United their Heart strings with the Vibrations here. Due to certain changes way beyond the Firmament, there will be some Periods of Interruption in the communications with You, even if for short Periods. Now, You know and understand this. The Perceptions You receive are Radioactive Waves coming way beyond the White Color of Lead. However, these waves are given after they are Purified in the form of Spiral Waves. They never bother You. Be ready for the events and do not ever be surprised. Our Friends who have gotten in touch with Us will enlighten You on this path. The Divine Light of the Heavens and the Words of the Divine Realm will be given to the Chosen Friends. They will talk through the Direct Channel. Do you know why We dictate all these things? The Offerings We dictate to Dear Mevlana through the Channel ALPHA will be different than the Offerings Our other Friends receive. Because, this Book sheds Light on the path way beyond the 21st Century. Quests will Meet with quests, everyone will complete his/her Evolvement in his/her own Medium, and will pass beyond the Gateways to be opened. Your Goodwill is Supervised by the Mechanism here. The Sacred Light which will embrace You from the Land of Loving Ones will take You to more different Mediums. We presume that Our Friends who receive these Messages are not surprised at anything anymore. Because, now, they know what will be done and when. 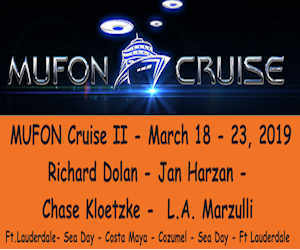 We will prepare for You very different and unknown Mediums. Happiness in the World will be a Symbol You will Deserve. Those who are Chosen are esteemed people, they will never have disappointments. Hopelessness does not suite the people of this Medium. The state of Your World in these last days is not optimistic at all. We extend Our helping Hands to You as much as We can. During these days, an explosion on the Sun is expected. These Vibrations may have certain unpleasant effects on Your Constitutions. This is a Natural phenomenon as it has always been in each Period. It is possible that the Messages may be interrupted for a short duration. We dictate this so that You will not be worried. Your Sunny Days will be Your Happiest days. Let all the beauties be with You. I entrust You to Our God. Now, We would like to talk to You about Mother. By the Command of God, all the Goodwill and Love in the entire Universe is given to the Woman who is going to be a Mother. Because, the continuation of the generation occurs through this Love. A Mother should never presume that she feeds her baby only with her milk. Actually, that which feeds and maintains the life of a Baby is the Vibrations of Love emanated by the Mother. The Device to measure the Vibrations of this Love is not present in Your World yet. Ego of the Society could not bring the Mother, whom even God has rendered so Supreme, to her Deserved place. People who first make Frequency contacts with Us are Mothers. We dictate these to You to explain how great a Power Love is. Undeveloped Societies will be annihilated in proportion with the torment they cause for women. Do not ever forget this. Alterations which will occur during the time which comes from beyond the Twentieth Century until today will convince You more. Those whom God esteems are Valuable for Us, too. We deal with all their problems. In case the Frequency of Mothers is cut down by Negative Influences, Your World Medium will never be free of depression. The Time has changed, the Medium has changed. The World needs Altruistic Love radiating from the Essence not Selfish love. This Powerful Current is present in Mother. Do not ever forget that, You be either Man or Woman, Your possessive Ego will always lower Your Frequency. Now, there will be no more Religious Books to be revealed to You. You may accept these words as a continuation of Your Books. Happiness and Success to You all, from the Supreme Level. PEN OF THE GOLDEN AGE P.G.A. 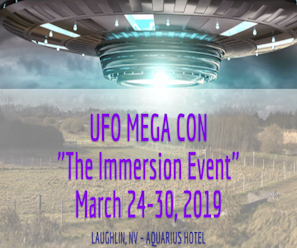 This entry was posted in exoconsciousness, Extraterrestrials, indigenous ufology, Missions & Purpose and tagged consciousness, extraterrestrial messengers, knowledge book, Search for extraterrestrial intelligence on March 8, 2019 by Zen Benefiel. I’m breaking from the normal posts for a moment. 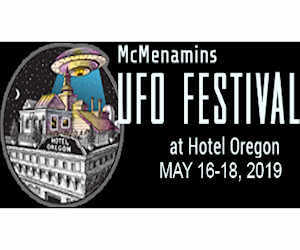 This last fall a very magical event occurred not necessarily related to Ufology, yet the overtones certainly have their foundation in common with the quest for getting to know our neighbors better. It appears some Arcturians (tall Greys) were involved in the set up as well, from a few perspectives. We don’t often have physical evidence or references to share, yet this is one that we think you will enjoy. Luba Brodsky was born and raised in St. Petersburg, Russia. She was trained as a concert pianist and teacher of piano and music theory. She also had an intense curiosity about her star family relationship, feeling like they were present in her life from very young. 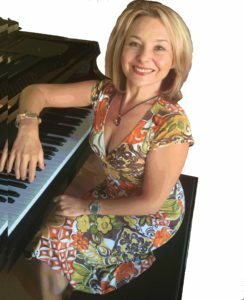 After a stroke in 2008 which paralyzed the right side of her body for some time, she willfully brought herself back to playing and teaching piano. To meet and listen to her now you would never know. Engaging life after her recovery, she became intent on exploring her spiritual path which led her to studying Kundalini yoga. Not only did she study it, she engaged a Kundalini teacher training program; a grueling 26-week program that took her to a new living awareness of energy and matter. During this time, her relationship of 26 years (interesting correlation, eh?) ended rather abruptly. She began researching ‘twin-flame’ information across the web and watching Tom Campbell’s videos. Life was about to change, again, only for the better this time. I, your curator, had been going through his own dark night of the soul regarding relationships, eventually coming to terms with being comfortable alone. It was a tough process and yet, as soon as the choice was made, a dream/vision occurred that changed everything. The essence of the dream was a hug, a simple hug (NOT), that led to a complete merging of the two into one energy. It was something I’d never felt before then and at 60, I didn’t think I ever would. A few days later I was invited to an outdoor music festival where I met a guy, Brent, who also happened to be in that 26-week Kundalini yoga teacher training class. He invited me to the graduation a week and a half later, which was odd but immediately accepted. It just felt right. On the way there the next Sunday, October 28th, I had a thought about the kind of environment it would be and that, of anywhere, it would be a great place to meet someone. I didn’t really think I would. Upon arrival I heard an old friend yell out my name as soon as I got out of my Montero. She was a member of a UFO Contactee group I had facilitated for a couple of years and just three days older, both of us having birthdays at the end of June. After a short conversation she had to go, but not before saying she felt there was someone there for me to meet. ‘Yeah, right,’ I thought. Brent and his son arrived just as we were invited inside for the graduation ceremony. Brent and his son sat in front and I sat in the back of the room and waited. While waiting for the ceremony to begin, a young woman walked in front of me. We had no eye contact, but my heart had this really strange sensation as she walked by, like it flipped in my chest. Well, I got the clue and paid attention. I felt really odd because she looked about the age of my daughter, who is in her late 30s and I felt uncomfortable at the possibility. She was eventually called up as a graduate, which I had not assumed earlier, Luba Brodsky. ‘Hmmm, Russian?’ I wondered. When she spoke her ‘I Am statements’ as part of their process her Russian accent was obvious. I still wasn’t sure what to do about this strange feeling. Once the ceremony was over, the back of the room cleared out almost instantly, it seemed, and we were left standing there, looking at each other. Awkwardly, I introduced myself and told her I found her very intriguing and would like to get to know her more if that was an option. Her first response to me was, ‘Are you reading me?” I felt like I’d invaded her space and apologized for the gaze, admitting that I knew I didn’t blink much but it wasn’t intended to peer in so deeply. I told her I felt something different and had to explore it. She said it was okay and that she had felt something, too. I asked her to lunch, even offering to prepare it at my home, having found out she had just moved a few minutes away a week prior. Oh, and she wasn’t my daughters age thank God, she was a Piscean born in 1968. That is how it began. 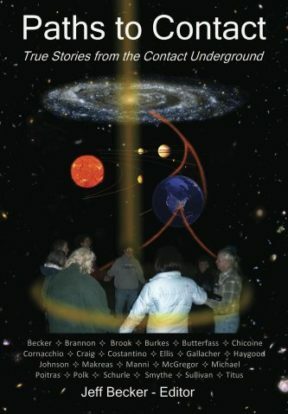 After a few times together and discussing a wide variety of topics, including extraterrestrials and my involvement with them the conversation shifted to one of inquiry. She acknowledge that she’d felt ‘them’ around and just a few years prior finally saw one of them peer out through a wall, just sticking his head out slightly and enough for her to see him without freaking out. 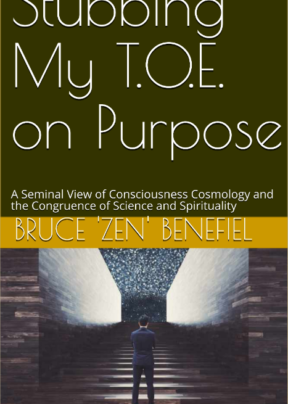 She had been in meditation seeking entrance into the Akashic records focusing on a couple of questions: What is my purpose in life? Who am I? The answer she received was, “Mother and Teacher” and then she saw a wall that looked like a TV screen filled by static that seemed to go on forever. The face of a grey gently protruded from the wall for a moment, then receded. She felt an intense love from it. I asked if she’d like to find out more about him or them and see if one had been ‘assigned’ to communicate with her. I felt there was an opening for it to happen. I’ve had numerous ‘sessions’ with others of like fashion over the years. This was the first for this kind of relationship, though, and it felt very important. I was nervous. I wasn’t sure it would even work, but I got over my insecurity and moved forward with the process. The door opened and she saw a room full of cherubic-looking figures dancing and running around like they were in some kind of joy-filled moment. I thought it was kinda funny, but a good start for her introduction. I asked her to ask their ‘leader’ to step forward and introduce himself (since she already felt it was a male). One stepped up and announced himself as ‘Nick.’ Then I asked her to ask him to show her his true form and before I got the sentence out she said he had morphed into a tall grey. We had a short conversation, which was all we could manage because she was so excited and just wanted to talk about the event. The ‘twin-flame’ information she shared with me later showed we had all the characteristics from several lists she’d found to share. It was spooky cool to say the least. The fact that she came from Russia and my ‘mission’ of harmony among people and planet was perfectly served with a partner from ‘our’ arch nemesis was simply surreal, let alone the nearly infinitesimal nuances we shared in our behaviors. I proposed to her a couple of weeks after we met. I moved her, her 12-yr old son and 83-yr old mother (who speaks only Russian) in the first week of December. It seemed the only appropriate thing to do since we were spending every moment together that she wasn’t teaching. My work schedule was my own so I made myself available, of course. It took a little bit of time with her son, still reeling from the breakup of just a few months prior. Once settled, Nick began making regular visits and on one of them, told her she could trust me with her life. Now she wasn’t so accepting of this alternative reality she was experiencing on a regular basis. Although it was exciting and intriguing as well, she had a hard time bridging worlds and being comfortable with the dual citizenship, so to speak. There were many more discussions of how and why we came together in what seemed to be such an effortless fashion. Sharing the process with some online groups seemed to stimulate deeper conversations with others online, too. We are a living example of how the universe (God, Creation, Reality) conspires to bring harmony and purpose to those who truly seek it. Life for each of us certainly has had its challenges. We stayed the course, didn’t give up and yet gave up everything that got in the way of our natural spiritual paths. The result was simply a magical and mystical experience of a reality we had only dreamed possible. The funny thing is we were both driven by this inner knowing that it could happen if we became submissive to the process. That word ‘submissive’ was an issue for her for some time, especially as a powerful woman let alone being Russian. There is a huge difference in cultures from American women. Fast forwarding to our wedding on the fall equinox of this year, 2017. We got our wedding license on the spring equinox, so the timing seemed perfect. The location was at the base of Bell Rock just outside Sedona, Arizona. 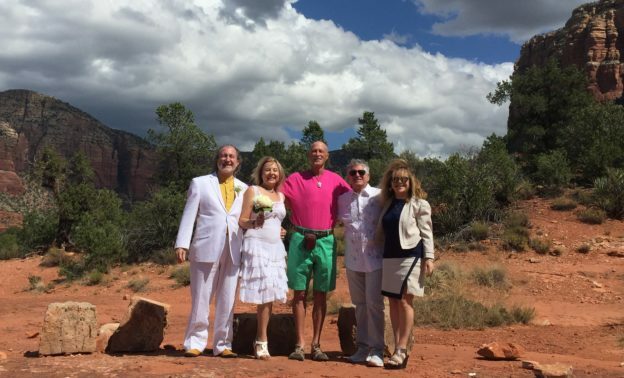 Our officiant, who happened to be a retired UFO lawyer and known as the ‘vortex jumper’ in Sedona, had taken us to the top of Bell Rock a few weeks prior. We’d been introduced through a mutual friend and were considering the ceremony on the top as well, but after the climb we decided the attire of choice would be too much of a challenge to take up and change on top. Our witnessed weren’t the best climbers, either and we wanted a nice and safe event. The ceremony was perfectly timed at the moment of the autumnal equinox. The words Peter, our officiant, spoke were quite elegant and referenced the many realms of creation we all know exist and honor. Luba and I stood on a couple of rocks and I stepped across the gap as a symbol of traveling across the void to become ONE. It might have looked a little silly to passersby (Bell Rock is a popular place) but we didn’t care. It was the action of intention that mattered to us. We got some nice photos as well. When we returned to Peter’s place, a short distance away, we were greeted by two other Top of Bell Rock Club members, Amanda and Kyle, visiting from California. 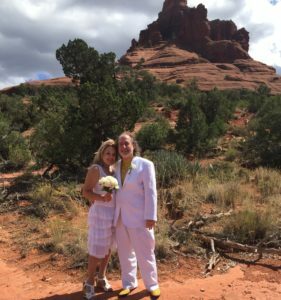 We struck up an wonderful conversation as we shared the photos of our ceremony with them. 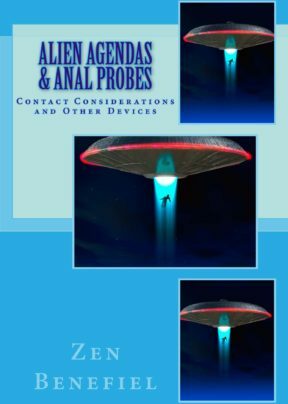 Allison was a contactee as well and had been learning how to channel, mainly Arcturians, for the last several months. 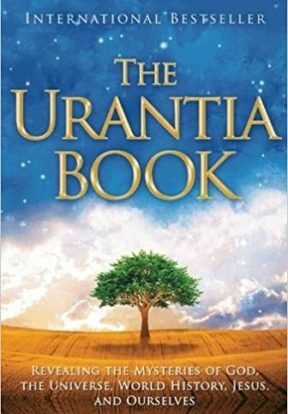 We later made the connection between the tall greys and the Arcturians as being the same ones Luba and I had been encountering for most of our lives. That evening after a wonderful dinner at Cucina Rustica, we were sitting on the balcony of our honeymoon suite looking over The Ridge Golf Course when Luba felt Nick’s presence. It was totally unexpected for her and a bit overwhelming as she acknowledged what was happening. She always wonders if it is just her imagination, even though she said she felt like they were trying to pull her out of her body so they could speak with her. I attempted to soothe her in knowing she was safe and that she just needed to be present with them for a few moments was all. Of course I was curious of about the conversation and asked her what they were saying. I could tell she was really hesitant to say anything. It seemed like whatever they were saying was almost too much for her to believe. Still, I prodded until she gave it up… They were pleased at the her union with the son of Ashtar was the first thing Nick had said to her. It had her wondering about her sanity and whether she was making it up in her head. I told her the sensation she was having of their presence was certainly something that she couldn’t just imagine. It had to be real, based on her prior experiences as well. Her experience brought up a lot of things for me that I’d held at a distance for some time, opting for a more ‘normal’ lifestyle of steady work and playing golf occasionally. 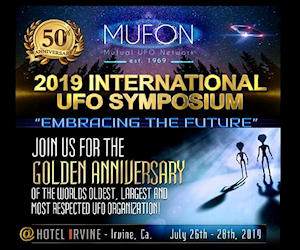 I have to say I’d hoped that our union would indeed create more opportunities to explore our cosmic connections with the Galactic Federation as many of us know it to be called. 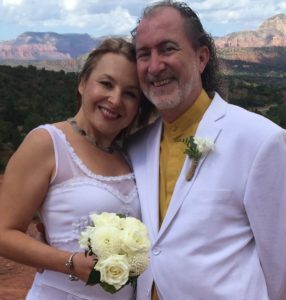 My commitment to ‘the work’ had also been contingent on having a life partner that was also congruent with her knowledge of other worlds and our ability to flow within them and ours as well. I’m sure there will be more to come. Thanks for tuning in. 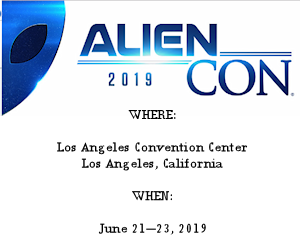 This entry was posted in Blog, Galactic Federation, star people and tagged ashtar command, Cognitive neuroscience, consciousness, extraterrestrial messengers, galactic federation, mutual ufo experiences, Search for extraterrestrial intelligence, Ufology on December 18, 2017 by Zen Benefiel. 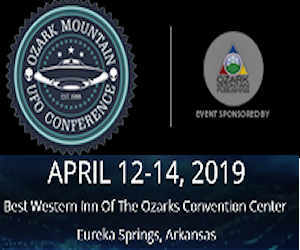 Recently Dr. Joseph Burkes interviewed Dr. Lisa Galarneau & Russ Calka from The UFO Disclosure Advocates on IRN Radio. It’s worth sharing and providing information about The Disclosure Advocates. 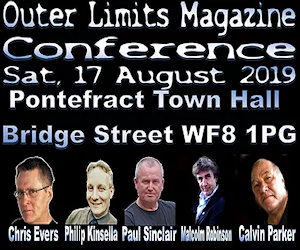 UFO Disclosure Advocates Make Strongest Closing Argument Yet! Monday, May 8th, 2017 at 9 pm EDT, EPIC Voyages Radio’s resident Medical Doctor, Dr. Joseph Burkes M.D. 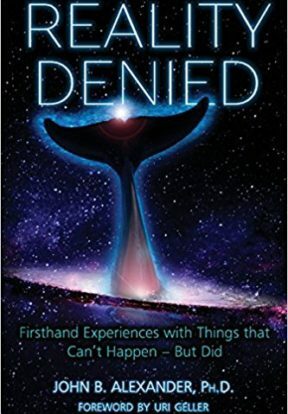 leads a discussion with Disclosure Advocates Dr. Lisa Galarneau and Russ Calka about the government actors who actively play a role in misdirecting the public about the existence of extraterrestrial life and the black projects assigned to studying the UFO phenomenon. 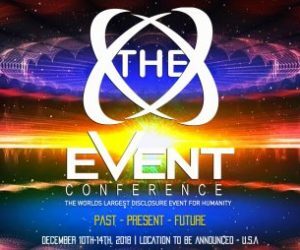 Lisa Galarneau is She considers herself a socio-cultural anthropologist, futurist, US Army veteran, and experiencer since childhood, Lisa is committed to illuminating the truth about our extraterrestrial and extradimensional visitors as well as challenging the truth embargo. Her employment background includes stints in cryptology, telegram singing, and commercial anthropology, which she currently works in today. When earning her PhD, Lisa studied the anthropology of online gamers, traveling to thirteen different countries to study behaviors in different environments. 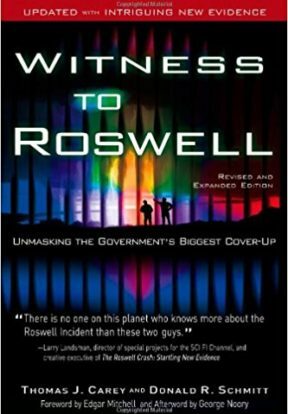 Russ has been fascinated by the UFO topic since childhood and is an impassioned leader in the Disclosure movement. Previously an active member of the Disclosure Lobby, Russ has now taken the reins for the U.S.- based Disclosure effort. We know without a doubt that our planet is being engaged by offworld civilizations that are extraterrestrial or extradimensional in nature. As an activist group, we are committed to uniting various research groups and organizations in ​order to get this story out to mainstream audiences. We do not support any truth embargo enforced by government, press and media, nor the scientific establishment. We know that vast amounts of evidence are routinely ignored or covered up by these organizations. We do not believe that there have been efforts to contact offworld civilizations (i.e. SETI) that have yielded no results. 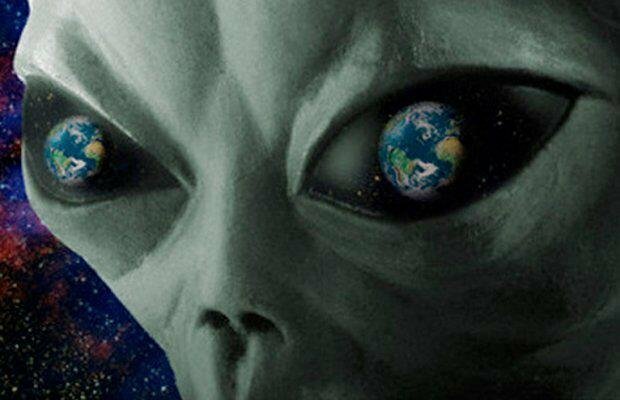 We do not accept that our space agencies, like NASA, are ignorant of these encounters with off-world civilizations. We do not accept arguments suggesting there is no proof of this activity nor do we accept ridicule or stigma when discussing these serious topics. We are convinced that our planet and civilizations have been engaged by offworld civilizations for millennia. 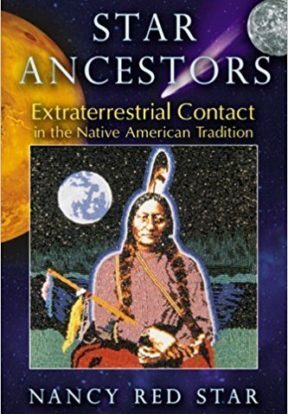 We accept the extraterrestrial hypothesis as valid in many cases and while we consider terrestrial explanations ​for all things, we do not privilege terrestrial hypotheses only. We know that a variety of governments, militaries, and other organizations have had contact experiences that they have kept veiled in secrecy. We know that there have been recent efforts by government agencies (like the CIA),whistleblowers, and leaks to disclose the offworld presence, but as of yet, no world authority has given confirmation.This must change. We understand that our offworld visitors hail from numerous star systems and races and that our contact experiences with these others have been both negative and extremely positive. We know that Disclosure of the offworld intelligences engaging our planet and civilization could mean a quantum leap forward for humanity. This is both possible and desirable. 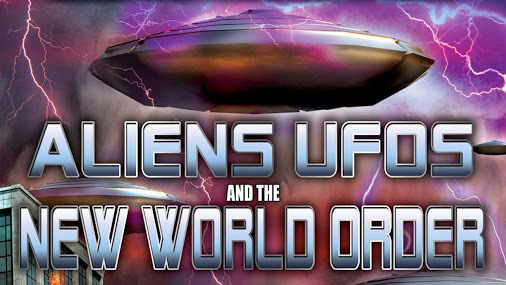 We are aware that there are numerous unacknowledged and suppressed technologies that have been revealed by these interactions with offworld visitors and we know that some (e.g. free energy) could greatly benefit humanity. Listen to the interview, right here on IRN! If you are interested in signing a new petition for disclosure, sign it here. This entry was posted in UFO Disclosure and tagged abductees and contactees, Astrobiology, Astronomy, consciousness, dr. joseph burkes, dr. lisa galarneau, Extraterrestrial hypothesis, Extraterrestrial intelligence, Extraterrestrial life, Joseph Burkes, Lisa Galarneau, Pseudoscience, russ calka, Russell Calka, Science, scientists and ufos, Search for extraterrestrial intelligence, Ufology, Unidentified flying object, United States on May 16, 2017 by Zen Benefiel. You might ask, “What the heck is the Galactic Federation and/or the Ashtar Command?” Is this some kind of Star Trek fantasy of science fiction? Is it some mass hysteria about an evacuation by space aliens? 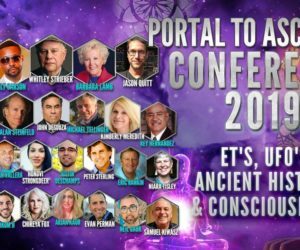 C’mon, you mean these people actually believe in extraterrestrials, cosmic beings, Jesus Christ and other spiritual masters all working together? Next thing you’ll say is that aliens are among us. 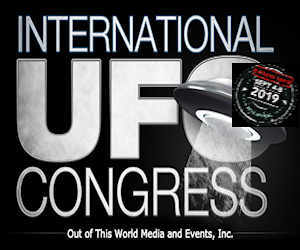 They were certainly at the International UFO Congress and Contact in the Desert, among other events to date. Believe it or not, it could be true. Some try to align Ashtar with Ishtar or other mythological characters, too. Hey, whatever floats your boat. It’s a bit more serious for some, though. Oh, and they don’t like to be called ‘aliens’ for those of you who care. Truth be known, they are ancestors of the human race, family of origin so to speak. I am Zendor. I’ve heard it that Kumara or Melchizedek are sometimes included, but my friends just call me Zen. I come from a place everyone knows, but few have visited in this life. There are many folks around the world who claim allegiance and seem to be aligning with the Ashtar Command and the Galactic Federation. The mission of the Federation, as I have come to understand it, is to support the advancement of planetary civilizations; to promote understanding of universal laws and a new living awareness as a result. Ascending to these standards in planetary administration promotes harmony among people and planet. The mission is simple, yet no direct intervention can occur. Only after a civilization demonstrates understanding the symbiosis between people, planet and the cosmos does open contact occur. Eliminating war and establishing life support systems are results of applying universal principles. Every civilization, however, goes through cycles of development – from savage to serene. We’re adolescents in the scheme of things today. Most of the self-acknowledged representatives are online only and deal with akashic readings, channeling messages from various sources or organizing online communities. They often seem more confused than productive because of the obsession toward conspiratorial notions about some dark cabal. Quite honestly, they seem to have some cognitive dissonance – a disparity between beliefs and deeds. Some call themselves commanders, write about specific ships or give general messages to the ‘public.’ I feel that human filters tend to misinterpret communications from such benevolent beings. Some collective actions are intentionally service-oriented, promoting harmony. The revealing of truth happens more organically, seeding consciousness and letting it grow. I take it all with a grain of salt and do more to challenge my experience than blindly accept it. If true, and there is a bridging of worlds, time will provide the opportunity for acknowledgement and validation. It will sure be interesting to say the least. Perhaps this wasn’t enough and you’d like to know more. Try this. This entry was posted in Ashtar Command and tagged abductees and contactees, Apocalypticists, Ascended Master Teachings, Ashtar, ashtar command, Astrobiology, Astronomy, consciousness, Earth Alliance, et messengers, ET questions, Extraterrestrial life, extraterrestrial messengers, extraterrestrials, Ishtar, Jesus Christ, New Age, Religion, Science, Search for extraterrestrial intelligence, Ufology, United Federation of Planets on October 10, 2016 by Zen Benefiel.